With quiet country towns surrounded by a beautiful bush setting, the Murrindindi Region is a fantastic place to come and unwind. 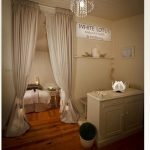 We have several day spas that operate throughout the region, as well as mobile Massage Therapists that will bring their expertise to you in the comfort of your own accommodation. From massage therapies, mineral soaks, hot stone therapies, ear candling and more, you are sure to return home as your most relaxed self.